AUTOFIS, s.r.o. Grobská 16, 900 23 Viničné, Company Identification No. (IČO):35822970, TIN:2021596929. 1. The Customer (the party who places an order) shall send an electronic request to book a car lot through the web page www.zaparkujem.sk or via a travel agency or an agency which is the Service Provider’s contractual partner. 2. Based on such request, the Service Provider shall ensure a vacant car lot for the Customer. 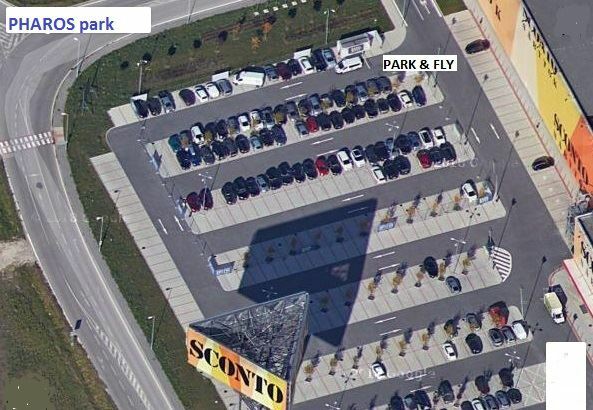 This car lot shall be ensured only in case that the Customer receives “a Confirmation of Booking”, which shall be sent by the Provider to the e-mail specified in the request for a car lot. The Party who places an order must produce such confirmation when entering the car lot. Should the Customer fail to produce it, the Service Provider may refuse to provide the Customer with the service. 1. In cash when entering the car park in accordance with an effective price list, which is published on the web page www.zaparkujem.sk. The payment for the service provided must be made in advance in EURO. 2. The payment made via a travel agency or an agency (an intermediary). In case of the service ordered via the travel agency which is the Service Provider’s contractual partner, the Customer shall pay for the service provided a required amount directly to the travel agency (to the intermediary), and upon doing so, the payment shall be considered made. The lease of a car lot for up to 3.5 t vehicle on the Service Provider’s premises is the subject-matter of the service provided. . By sending the “Confirmation of Booking” and after the Customer produces such Confirmation, the Service Provider undertakes to ensure a vacant single car lot on the Service Provider’s premises within the time specified in such confirmation. The Service Provider is not liable for a theft of vehicle or of automobile furniture, and a damage done to the vehicle by a third person or Force Majeure. The price for the provision of service does not include an insurance for the afore mentioned cases. The price for the provision of service does not include the transfer to/from the airport. The Service Provider shall ensure that the customer is given a transfer to the airport and back from the airport to the car park. This is a bonus for the Customer. The service price includes only car parking. The transfer shall be conducted only to airport Letisko M. R. Štefánika Bratislava and back. The Party who places an order must indicate the number of persons (4 persons per reservation at the maximum) when filling in a reservation form. The Provider shall ensure the transfer to the airport no later than by 30 minutes after the Customer arrives to the car park. The time of the transfer from the car park to the airport is approximately 5 minutes depending on a traffic situation. The Service Provider is not liable for any delay caused by the Force Majeure or an unpredictable situation such as a traffic accident, road impassability, road closure by the police etc. The Party who places an order is not entitled to receive any compensation of the damage suffered due to the transfer delay caused by the afore mentioned reasons. When giving a transfer from the airport to the car park, the Service Provider shall ensure that the vehicle intended for transfer is driven in front of the Customer within 10 minutes at the place specified in advance. The Service Provider’s vehicle shall be driven to the place about which the Customer shall be informed during his/her transfer to the airport. The Party who places an order for the service shall produce a vehicle certificate when taking his/her vehicle in the car park, if asked to do so by a car guard.